People say the memories of certain smells stay with you for a lifetime. Corned beef and cabbage on St. Patrick’s Day, the sterile smell of a dentist’s office, athletic socks in a gym bag or the Xylene-based color design markers I used in the 1980’s back in college. Even my ice skates have a familiar smell. Not bad, just familiar – like old leather mixed with slush. I was driving through the neighborhood near my childhood home on the northern edge of Milwaukee County, and I decided to take a slow drive down memory lane. Everything looked smaller than I remembered, except the trees. Eventually I ended up at the neighborhood park where I spent countless hours playing pickup ball games, hanging out with friends and ice skating. I grew up back in the 1970s when we seemed to have endless winters. Snowstorms began in November and kept coming through March. I remember once having to dig “down” through the snow bank to get to my mailbox. The streets were like deep caverns carved into the tundra. We built snow forts of such magnitude and complexity that you could almost get lost in them. The country was in the midst of an energy crisis and an oil embargo. Recycling was just becoming a familiar word, although no one was really doing it yet. The recession of the early 1980s was looming on the horizon and aerosol spray cans were being banned because of ozone depletion. Acid rain was on its way. I guess the economy and the environment were in just as much peril as they are today. This return visit to the park triggered some fond memories for me and I began to wonder if they still had ice skating there in the winter. I walked around taking photos of the pavilion and the surrounding site. The doors were locked and the windows had blinds on them. The pavilion had an architectural style that reminded me of a Pilgrim hat. While I was there, a County Parks maintenance truck pulled up with two park staff people in it who were making their rounds and emptying trash receptacles. I asked them if there was still ice skating at this park, and they both looked at me with a puzzled glance saying that there has never been ice skating here as long as they can remember. I suddenly felt very old. Every winter, before the holidays, the ice rink was prepared just outside the doors of the park pavilion. Snow was plowed off a large grassy area into a large oval and the snow banks acted as the perimeter edge holding in the flooding water until the ice was formed. During the week after school the entire place was active by 3:30 in the afternoon with casual skaters, hockey players and a few cool guys with racing blade skates. After dinner and homework, it was back again to the ice for an evening game of tag in which everyone on the rink usually participated. The perimeter snow banks were the “safe” zone, and anyone with sharp blades and figure skates had an advantage of maneuverability. 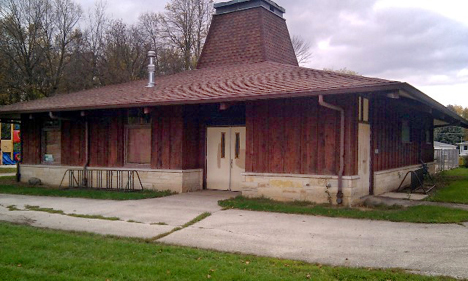 The park and pavilion was managed by a full-time, year-round superintendent named Dave. He was well known and liked by all the park users. His office door was always open and on his desk was a big, heavy, black rotary telephone with a coiled cord that was plugged into the wall (remember those?). If the vending machine needed restocking, or if someone needed first aid, Dave was there to take care of it. If someone was out of line or bullying someone, Dave had no problem resolving the conflict so that everyone could enjoy themselves. During the cold winter months of endless ice skating, the pavilion was a great warming house. It was furnished with bench seating and cubby holes for your boots. The floors were entirely covered with those thin, rubber-like mats so the skaters could walk around inside the pavilion. The smell of the rubber mats is also something that I will always remember, blended with the smell of hot cocoa, damp mittens and the cedar boards that covered the walls. As I now walked around the well-built pavilion with its limestone veneer (the masons built this place to last – not one crack in the mortar) I began to think about how back in the 1970s we had all of these amenities available at all times for public use, and how nowadays we only have limited use of these types of facilities and there are far less of them. Dave was the full-time attendant managing the neighborhood park year round, setting up the ice rink in the winter and the wading pool in summer. I’m sure it wasn’t an easy, inexpensive task to plow the snow, make the ice, put down all the mats, staff the office, maintain the ice throughout winter and then in spring, store all the mats and restore the turf. 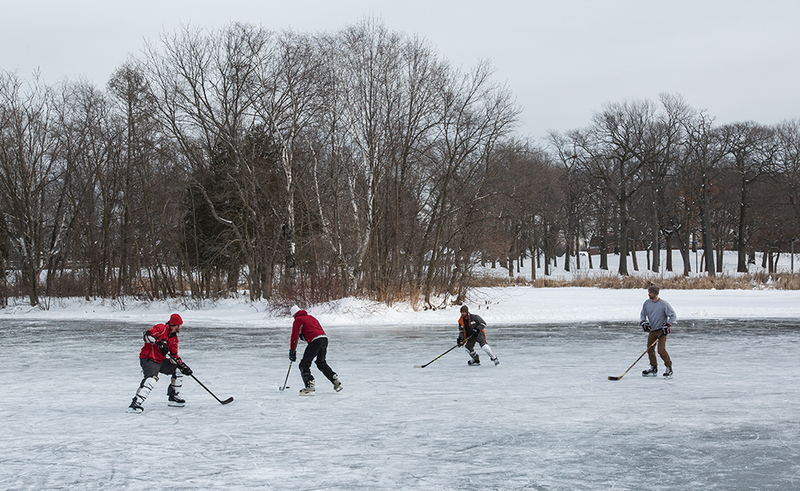 The unpredictable weather and recent warmer winters have also made it more difficult to maintain the ice. While it was somehow affordable to do all of this back then, we have all come to accept the reality of budget cuts, consolidation of resources, legacy costs (pensions), higher operational costs, lower tax rates and reduced maintenance staff. I read in a recently published article that Milwaukee County Parks had 1,100 employees back in the 1970’s and they now have only 200. Many other things have changed since then as well, including our society and parental control. How many parents today would let their 11-year-old kid walk over a mile, alone or with a sibling, to go ice skating all day by themselves with people they don’t know? It was very different back in the 1970s. We had more independence and we had to make our choices and plan things on our own without cell phones, texting or social media. I’m not one of those types of people that shun technology and who thinks it was so much better back then; it was just very different. And now as a parent, I don’t think I would be comfortable letting my young kids be on their own for hours and hours without having a parent or responsible sibling with a cell phone along with them. So I have changed as well. When I was young, I knew I wanted to draw and design stuff for my career. I didn’t know what a landscape architect was, but I was surrounded by the works of many of them every day. From the beautiful groves of mature Sugar Maple in October to the beautiful boathouse and lagoon at Brown Deer Park, to the Boerner Botanical Gardens and the horticultural Domes within the Milwaukee County parks system, my career as a landscape architect has truly been influenced by the beauty of these places. The Milwaukee County Park System has an amazing history, with several parks being touched and designed by Frederick Law Olmsted. There is a great book by retired County Parks Landscape Architect, Laurie Muench Albano that beautifully describes some of the history of the park system, and how many of the beautiful architectural structures still standing today were built by workforce programs during the Great Depression. Luckily, all is not lost. There are still some excellent facilities and opportunities to enjoy a day of ice skating throughout the region, albeit fewer of them. Most likely, you will have to drive a car rather than walk to get to them, but they offer a great family and friendly experience. Park systems throughout the state have done an excellent job of providing facilities and amenities for ice skating, tobogganing, sledding, and cross-country skiing. They have done their best to respond to the public needs while working within their means. While this results in fewer facilities and reduced hours of operation, there are still plenty of opportunities to create wonderful memories, including the smell of old leather ice skates mixed with slush. Editor’s note: While Red Arrow Park in downtown Milwaukee – where the skating is free and skate rentals are available – is the county’s premier ice skating venue, there are other locations that offer experiences similar to those described in this story, when conditions are favorable. 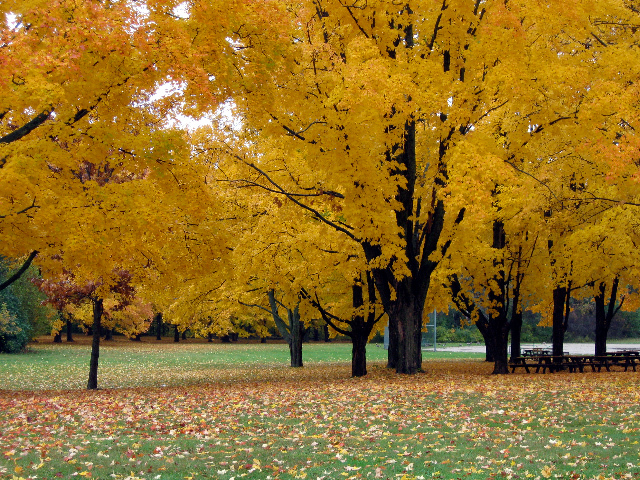 See the Milwaukee County Parks website. Tom Mortensen, PLA, ASLA, Site Planner/Landscape Architect at raSmith, has more than 30 years of experience in the landscape architecture, planning, design and construction professions on projects throughout the Midwest. Tom’s experience includes expertise in site planning, park and public open space planning, urban design, restoration plans and native and naturalized planting design.